Long time, my sisters and I love to watch the Garfield and friends in TV cartoon show since we used to be kids! We missed them a lot. 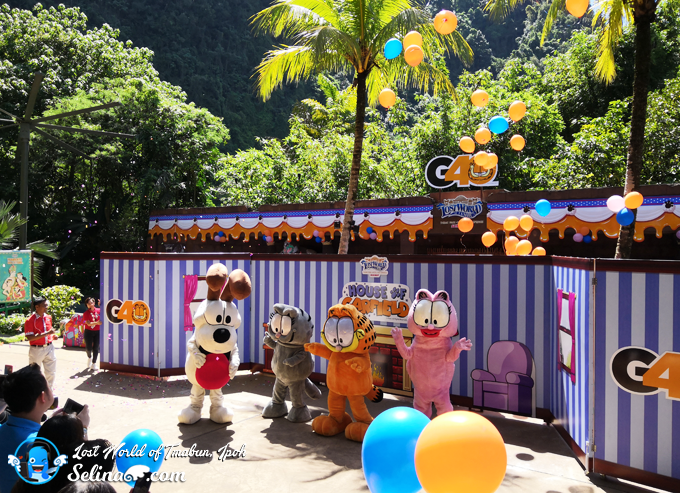 Today, Garfield and friends as the all-time favourite comic-strip orange cat make a special appearance at Lost World of Tambun! 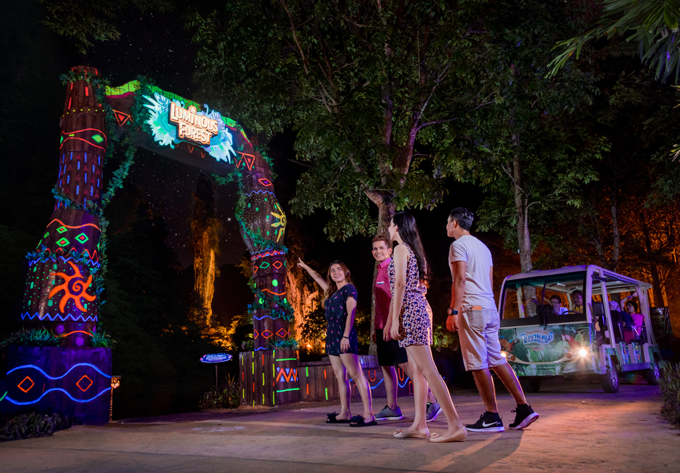 During the school holidays, visitors of all ages are invited to reminisce their favourite childhood cartoon characters as they are brought to life! 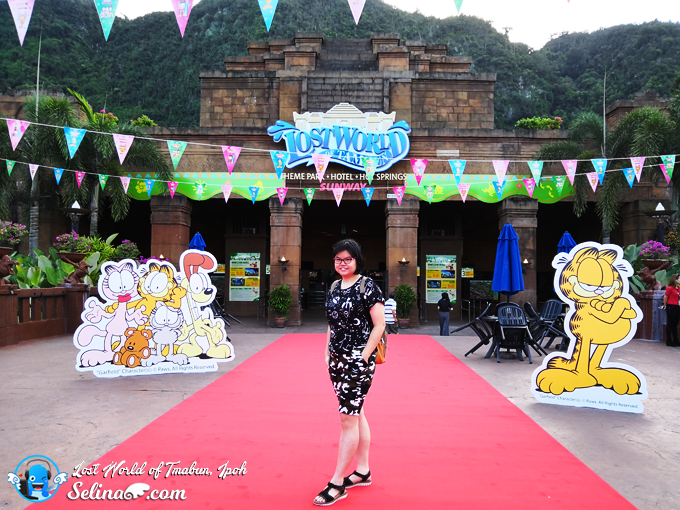 Watch out as Garfield and Friends invade Lost World Of Tambun! 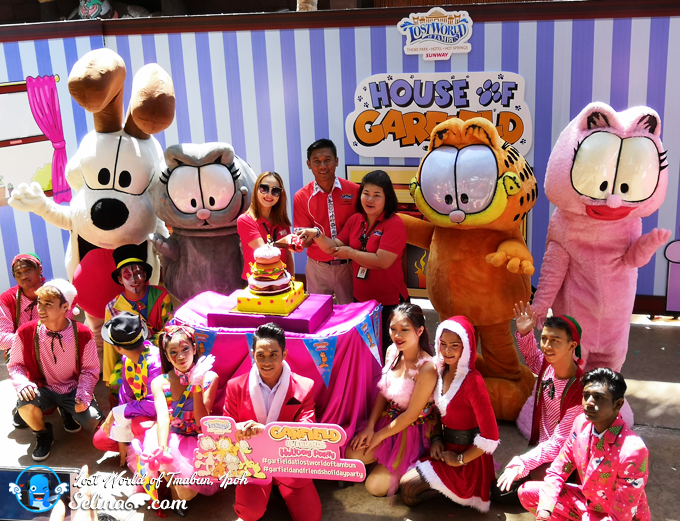 (From Left) Nurul Nuzairi Mohd Azahari, General Manager of Sunway Lost World Of Tambun, Ng Wai Mun, Sales Director of Lost World Of Tambun and Michelle Soong Wey-Se, Senior Manager of Marketing & Special Project of Sunway Lost World Of Tambun unveiled Garfield and Friends at the launch. Hello to Garfield and his friends! 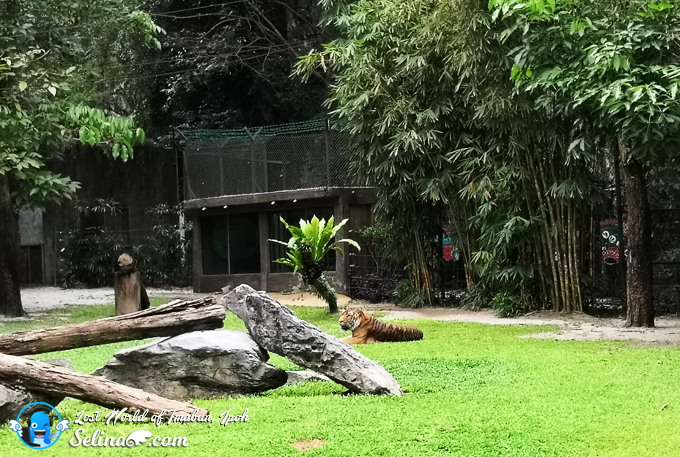 They greeted visitors at Sunway Lost World Of Tambun. 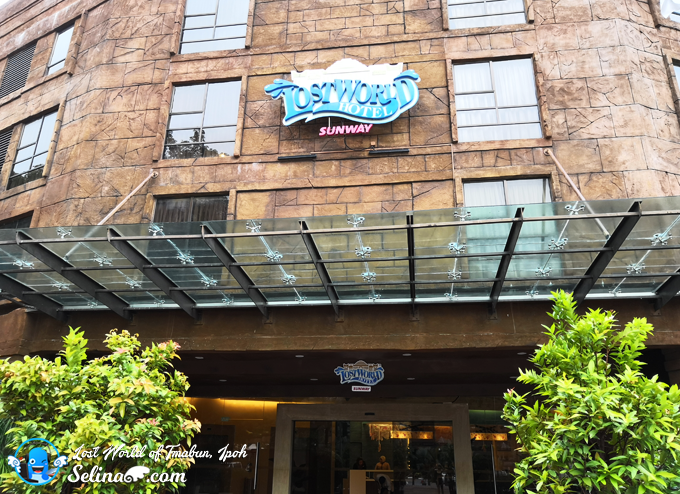 Check out to get the chance to win Garfield's contest online in Lost World of Tambun's facebook weekly at https://www.facebook.com/lostworldoftambun/. 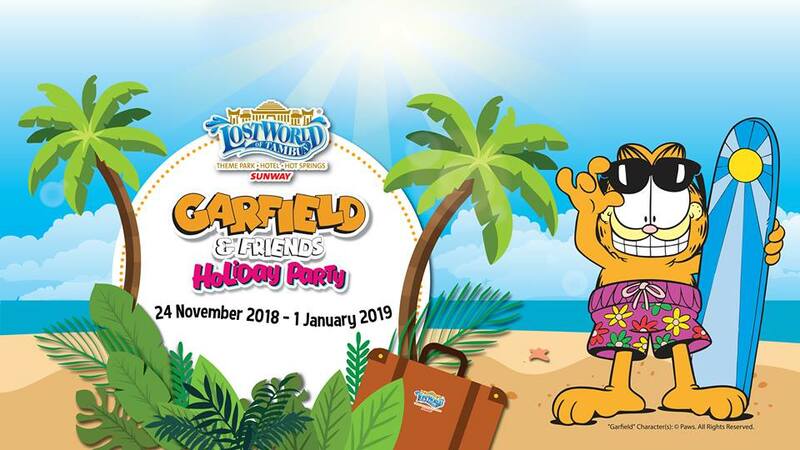 They will give away the tickets for the winners who want to play with Garfield & Friends from 24 Nov 2018 till 1 Jan 2019! Better to join their facebook page on every week if you want so much! 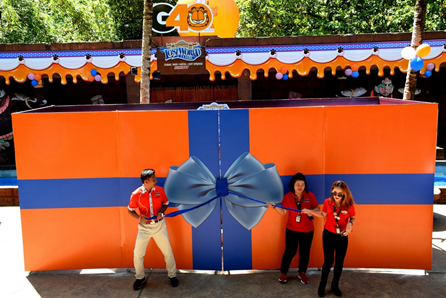 (From Right) Ng Wai Mun, Sales Director of Lost World Of Tambun, Nurul Nuzairi Mohd Azahari, General Manager of Sunway Lost World Of Tambun and Michelle Soong Wey-Se, Senior Manager of Marketing & Special Project of Sunway Lost World Of Tambun celebrated Garfield’s 40th Anniversary with a cake cutting ceremony in conjunction with the launch of Garfield and Friends Holiday Party campaign. 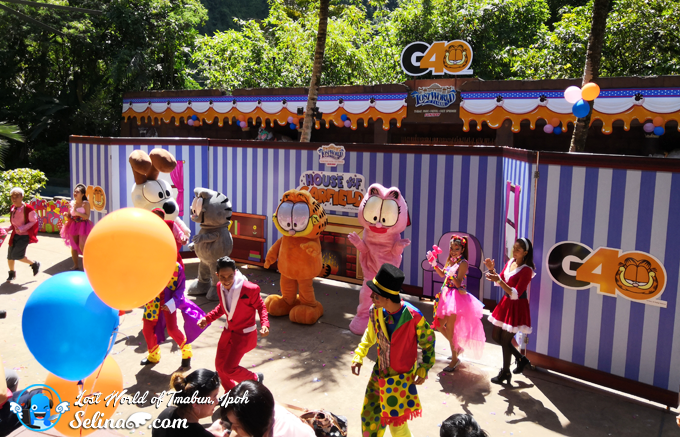 The celebration for the iconic cartoon figure starts off with an exciting line-up of activities such as Garfield Station Games, Garfield Catopia Special, Awesome Pool Party, Meet and Greet Show and many more that are sure to give visitors a fantastic time! Come to meet the classic lasagne loving orange cat – Garfield and Friends make their way to the park to surprise your family, especially your lovely children during the school holidays! 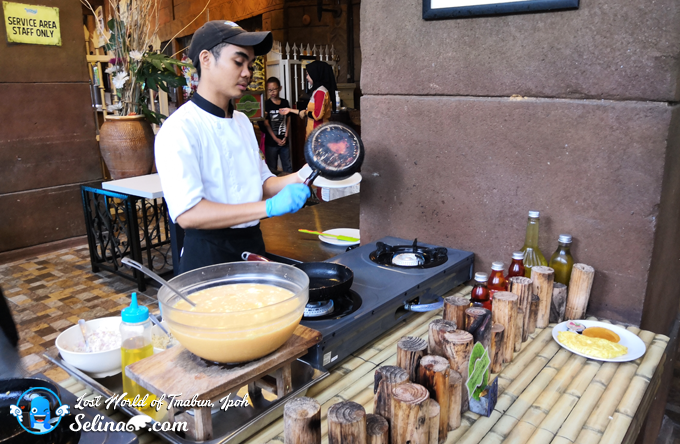 What we do with this Garfield and Friends's activities? 1. First, you and your family need to collect stickers with the exclusive Garfield passport as you all go through each Garfield-themed station games. Then, you will play in the challenging station, where there will be performance throughout the day. 2. 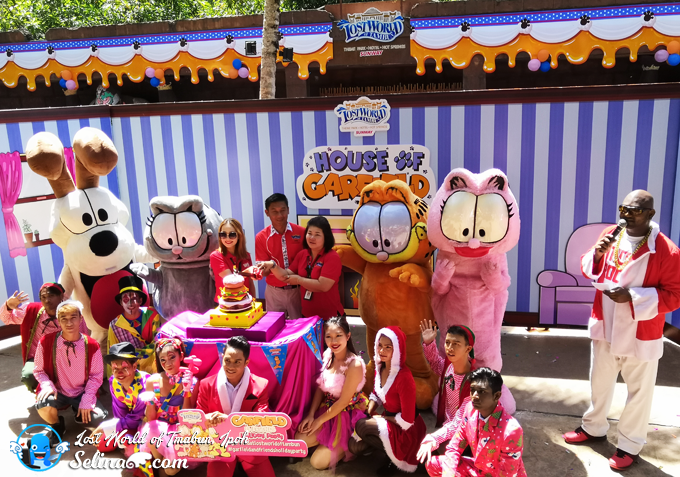 Don't forget about Meet and Greet the Garfield and his friends at the House Of Garfield every Friday, Saturday and Sunday where these lovable characters will make an appearance to interact with the visitors. 3. If you or your child born in December, you can get a FREE birthday cupcake on every weekend throughout the month of December, just by showing MyKad to the LWOT team during the Garfield’s 40th Anniversary! 4. Encourage your family to dance moves with Garfield at the Awesome Pool Party at 6.30pm everyday. 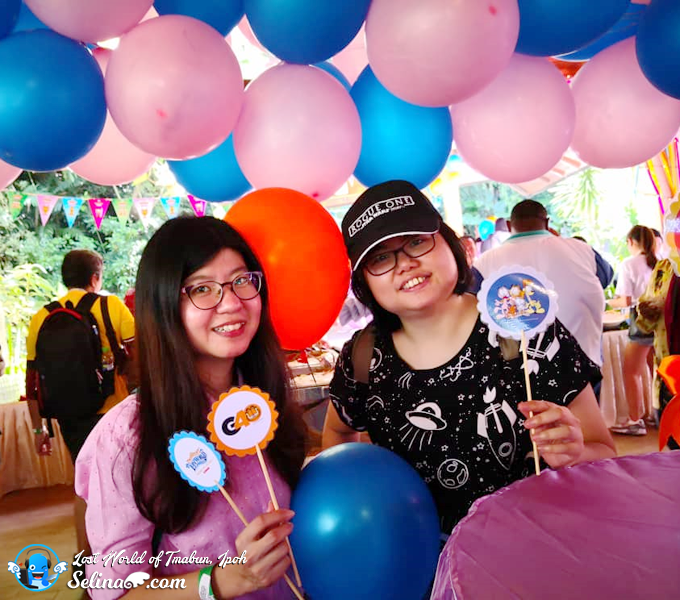 “Everyone has probably heard, read, or watched Garfield at least once in their lifetime which makes this event such an iconic one for us here at LWOT. 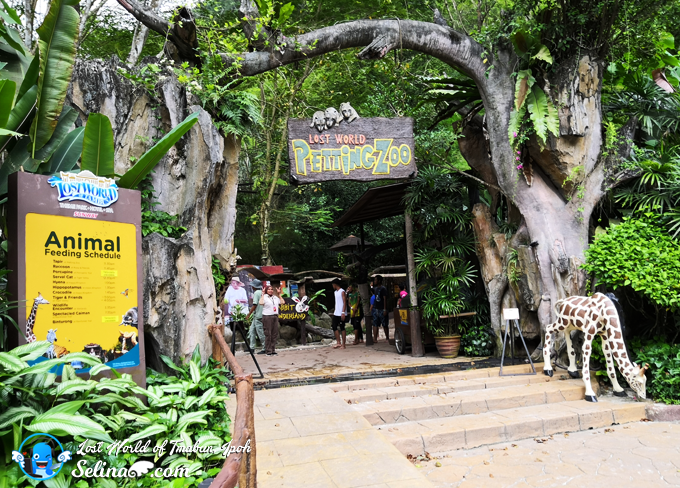 The team has put in extra effort to ensure that the celebration with the iconic cartoon figure would stick in the minds of our visitors for a very long time as they spend their time with their loved ones while reminiscing the classic characters that are brought to life here at LWOT,” said Nurul Nuzairi Bin Mohd Azahari, General Manager of Lost World Of Tambun. 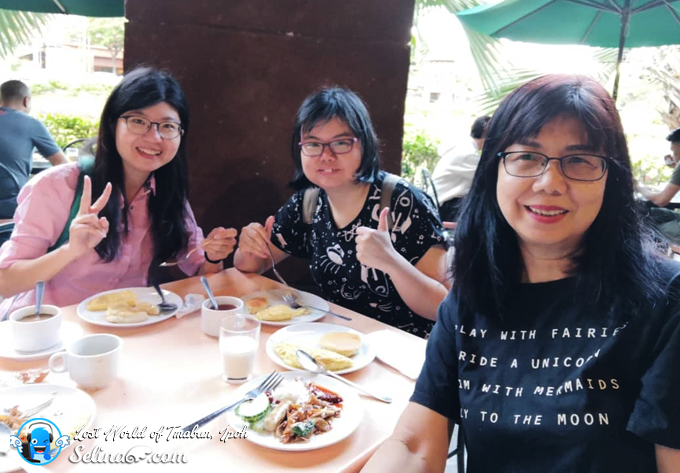 I recommended that you and your family to stay in the Lost World of Tambun's hotel as you equipped with FREE wifi access, complimentary breakfast at Garden Terrance, discounts of Crystal Spa, and access to the Lost World of Hot Springs and Night Park. 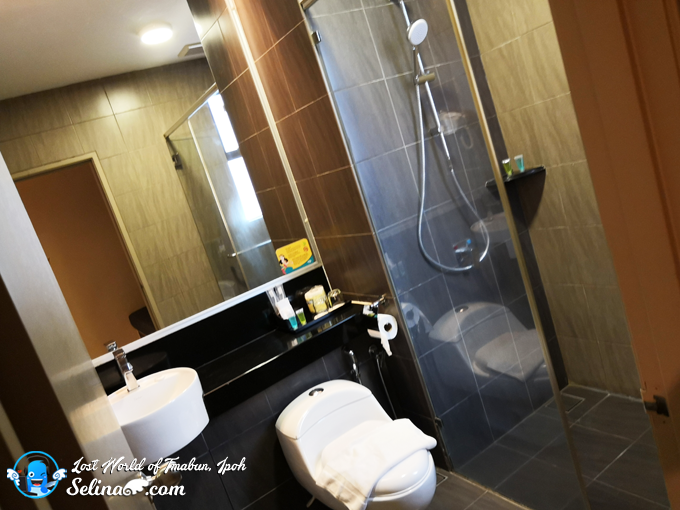 After this hot springs, you only take 5 minutes to walk back to your hotel so easily. 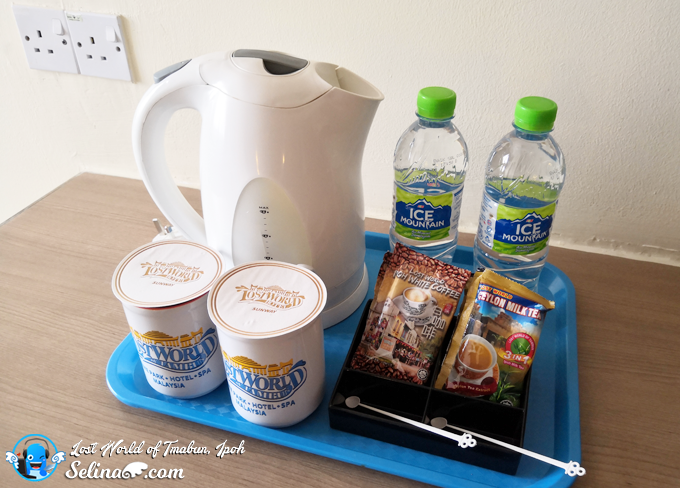 There are free 2 pax of the water mineral bottles, Lost World's Ipoh White Coffee and Milk Tea! 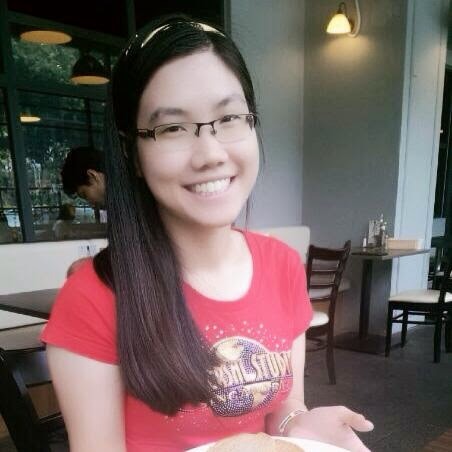 My friend and I went to eat the breakfast at Garden Terrace. 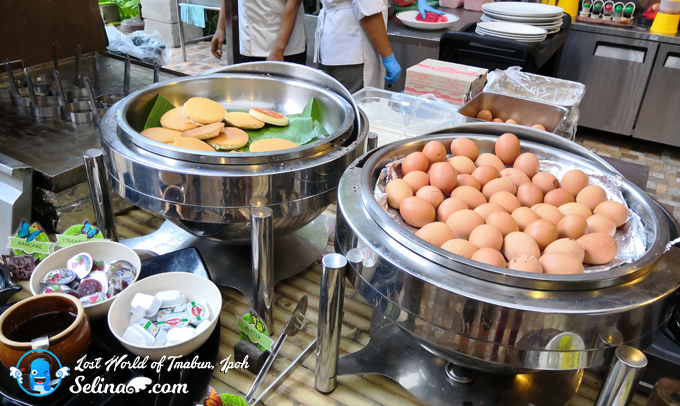 Pancake, Half-boiled eggs, fried rice, nasi lemak, noodles and more..! 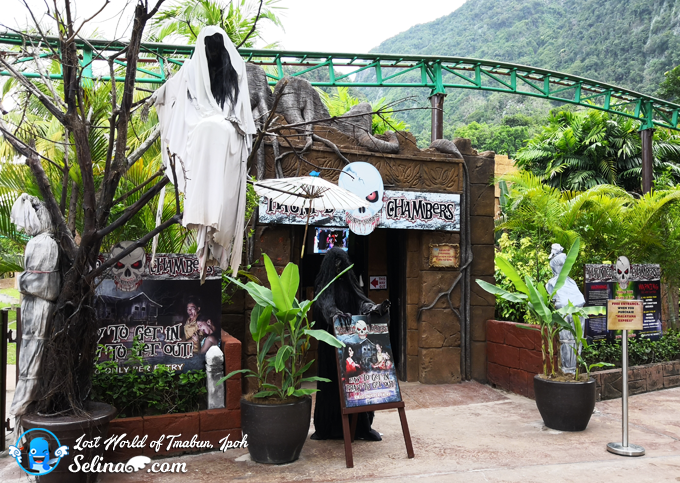 After my breakfast, my good friend, Woan Koon and I walked around the Lost World of Tambun. 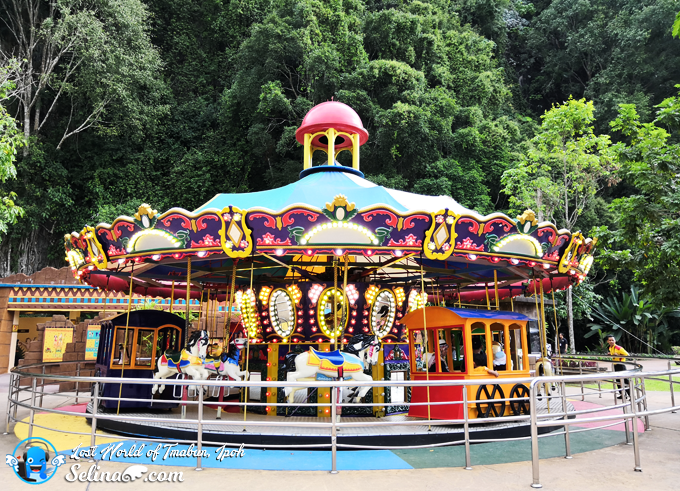 There are many interesting of attraction parks such as Tiger Valley, Petting Zoo, Tin Valley, Amusement Park, and more...! Play to win a big prize? 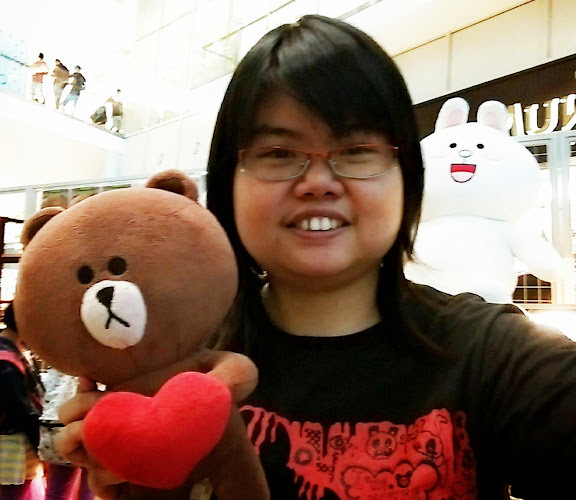 I like cute toys! Ahhh! A ghost is staring at me... Dare to go there? 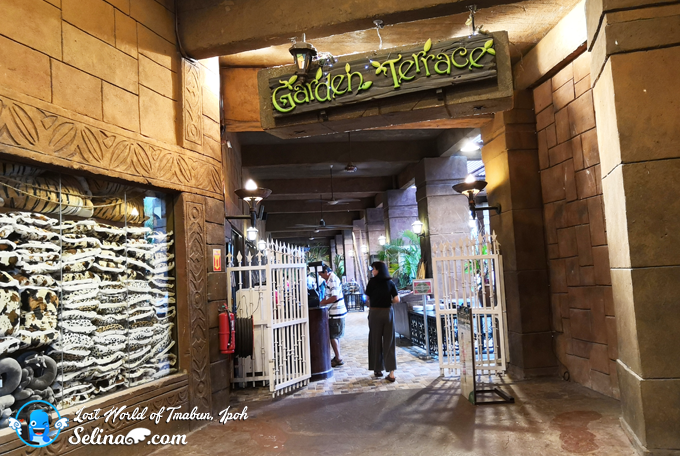 They try to lure us to enter into "Haunted Chambers"! There is a big tiger in the "Tiger Valley"! 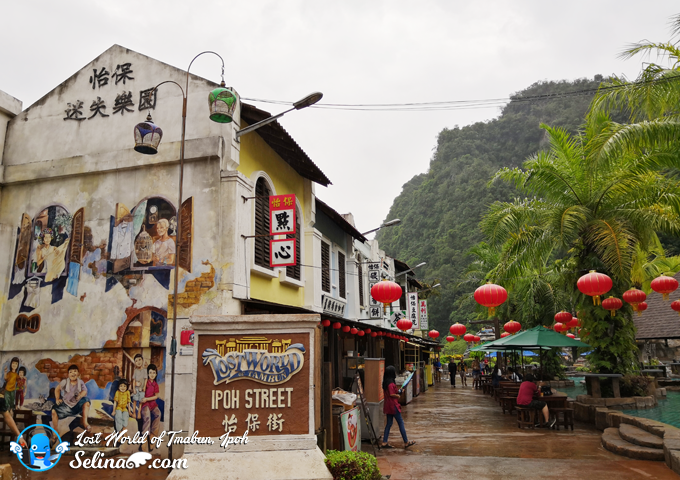 Try to eat the local food at the Ipoh Street! 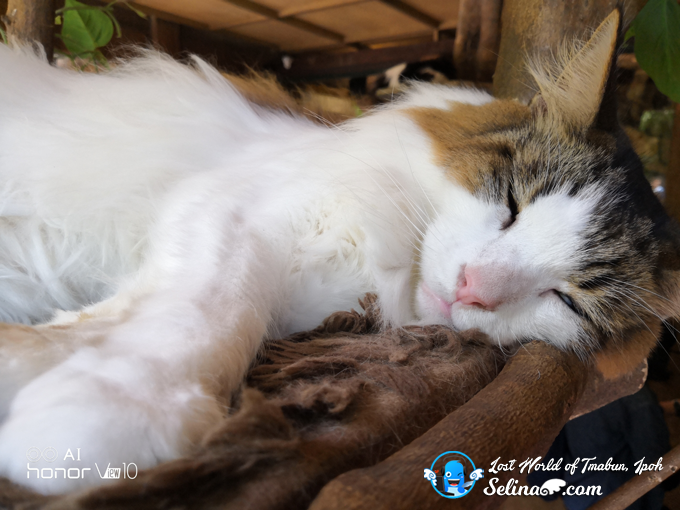 Pet Wild Cats In Catopia. 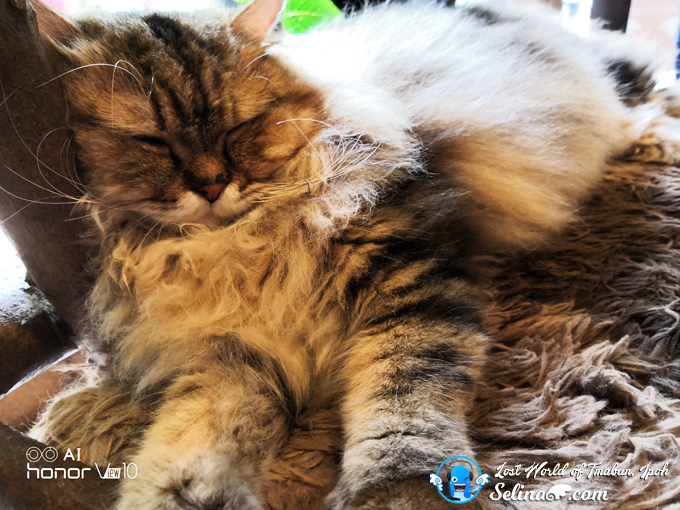 Catopia get some types of feline breeds. 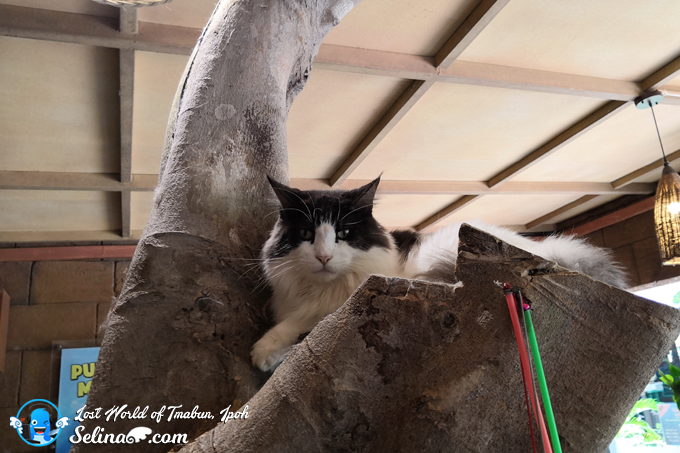 They are very different than my cat, Miu Miu! They are big wild..Woww. They really don't like us to pet so much. But, we did touch it a bit only. They need space to rest and sleep... 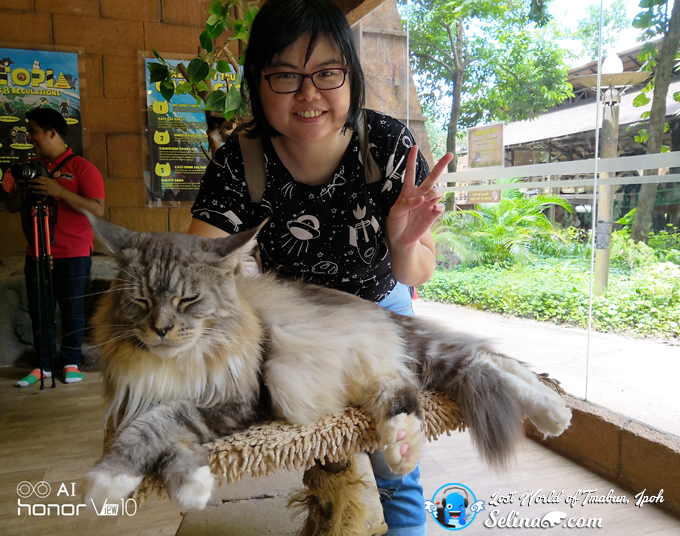 Compared to my cat need more attraction from me only. 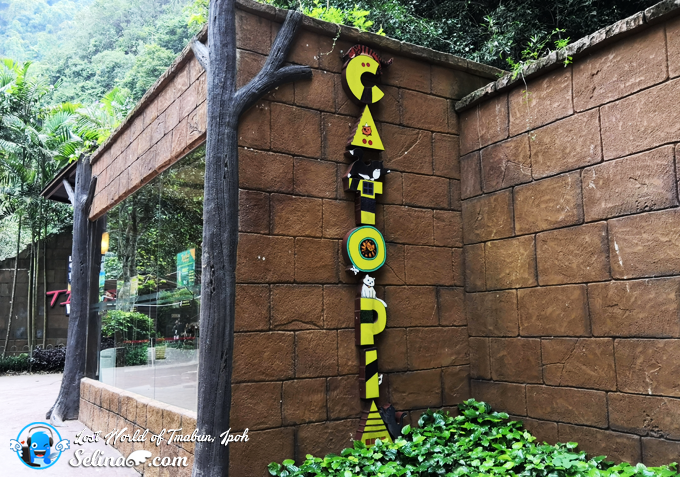 If you are cat lover, make sure you visit the Catopia! This feline looks like my cat, Miu miu? 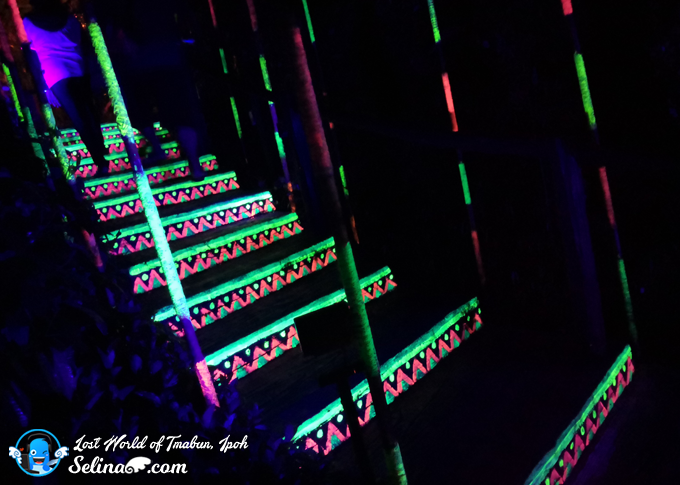 MUST TRY the Luminous Forest - latest attraction of Lost World of Tambun from 8pm to 10pm daily. 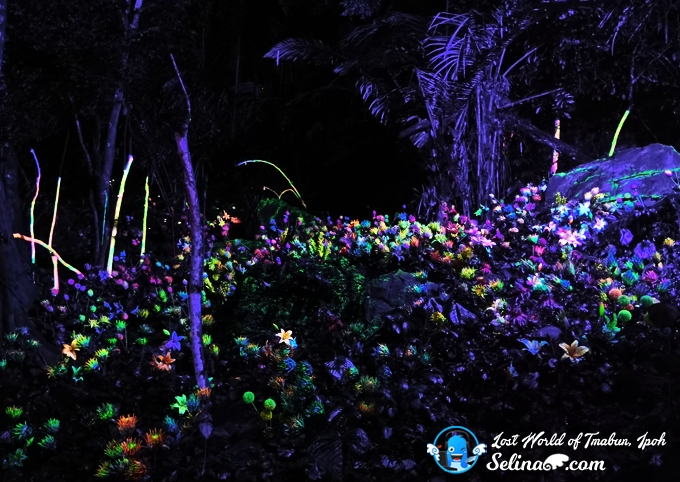 You will experience the Luminous Forest is an enchanted forest illuminated with the otherworldly flora and fauna, a home to our Malayana tribe. 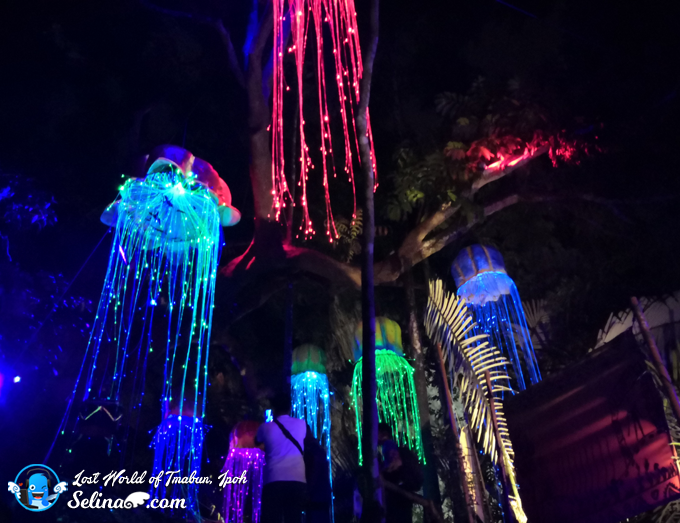 When you walk along a very beautiful journey into the Luminous Forest, you will encounter the mystical world of glowing glowers, giant magical creatures and more. 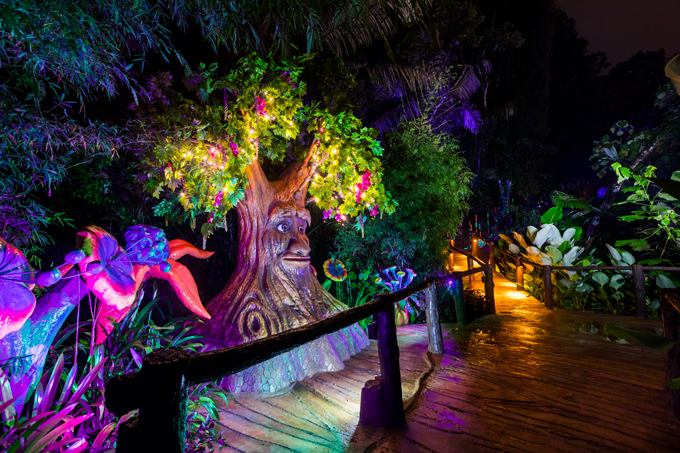 to lead you walk to your imagination of fantasy world! Mother Sophea is an ancient of talking tree in the magical of forests which be existed 400 million years ago! 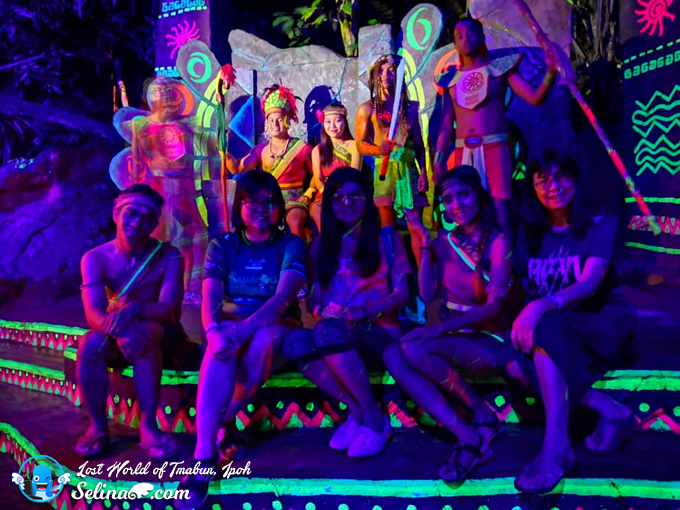 Makalani and Malayana tribe who stayed there too. 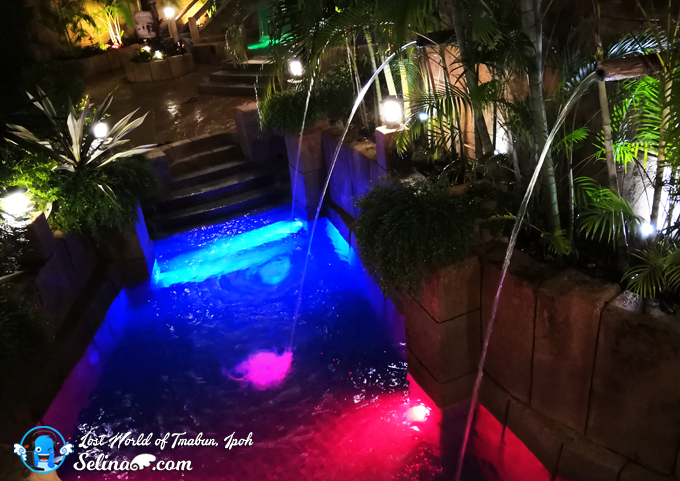 The Hot Springs's temperatures are between from 40°C to 45°C in the pools. 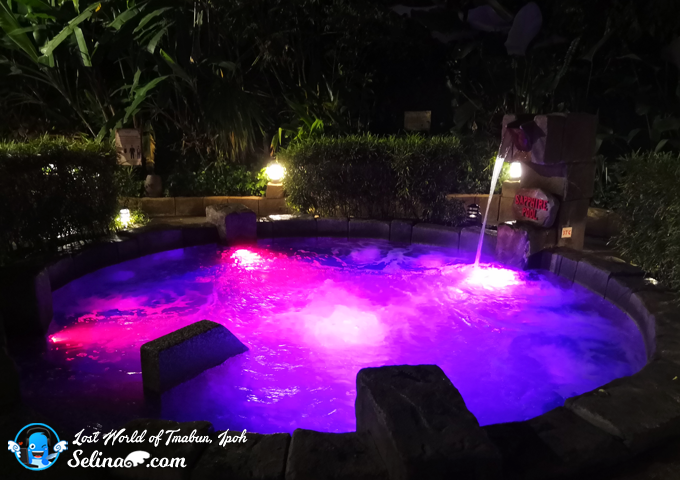 So you can find which is your favorite of pool to relax and soak in. 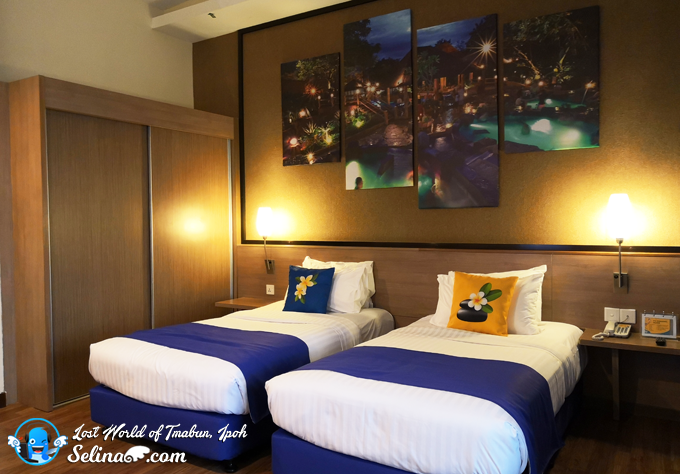 My good friend, Woan Koon and I really enjoy to chat-chit at same time we relax to sit in the hot spring pool. My skin become good smooth when I enjoy to lay so much! 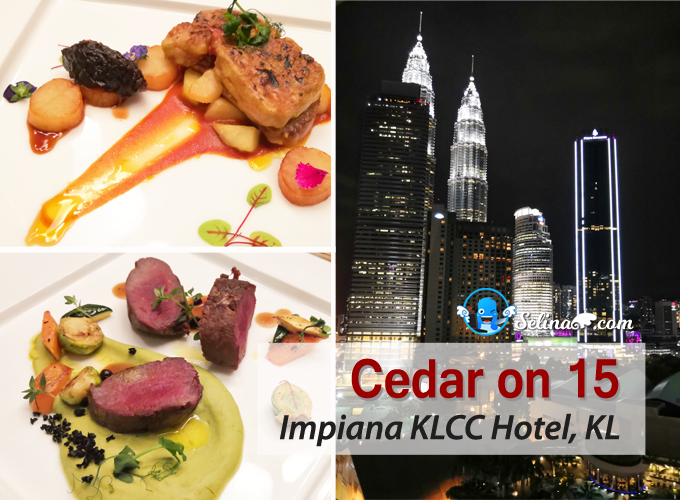 If you love the hot springs so very much, you can buy RM39 per adult and RM33.80 per child/ senior aged 60 years and above. 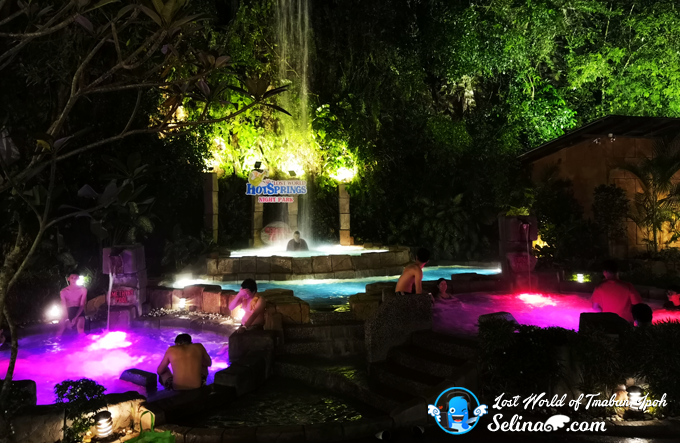 You get the access to the Petting Zoo By Night, Luminous Forest, and others, especially, you will like to swim in the Hot Springs during long night! Come meet in the chamber of Kepura Cave that can accommodate 100 in modern comfort. 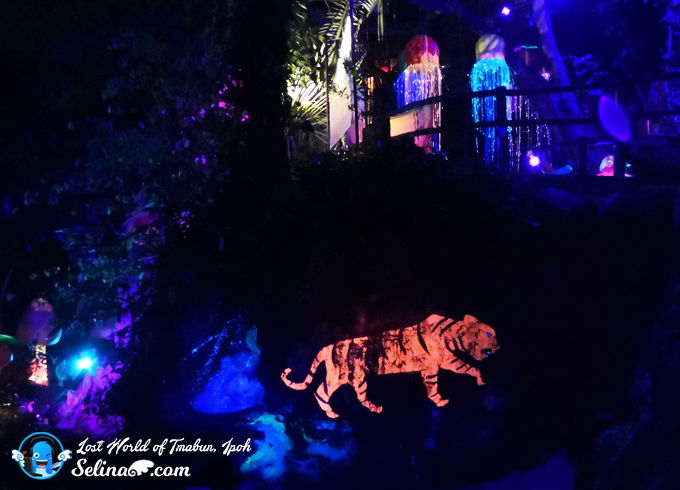 We shocked to see a very awesome colorful of lighting around this cave! 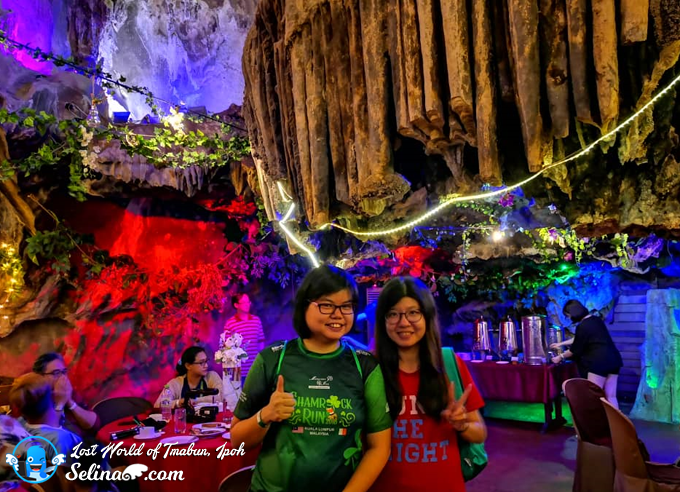 You can book this cave as your buffet dinner for your company's celebration or your friend's birthday! 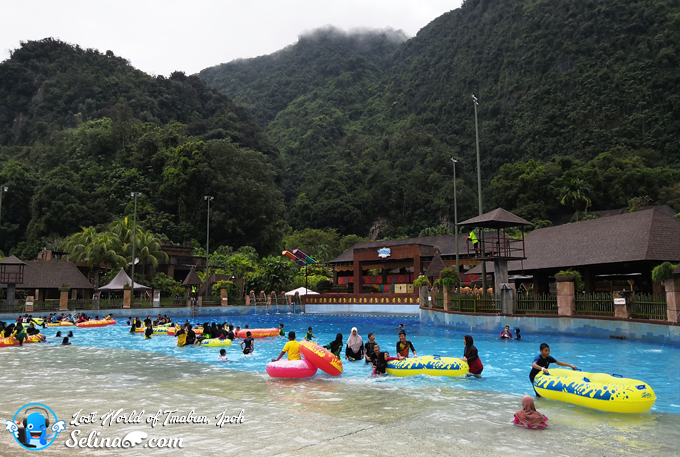 "It is very good worth a visit during your school holiday trip at Lost World of Tambun in Ipoh, Perak Malaysia!" 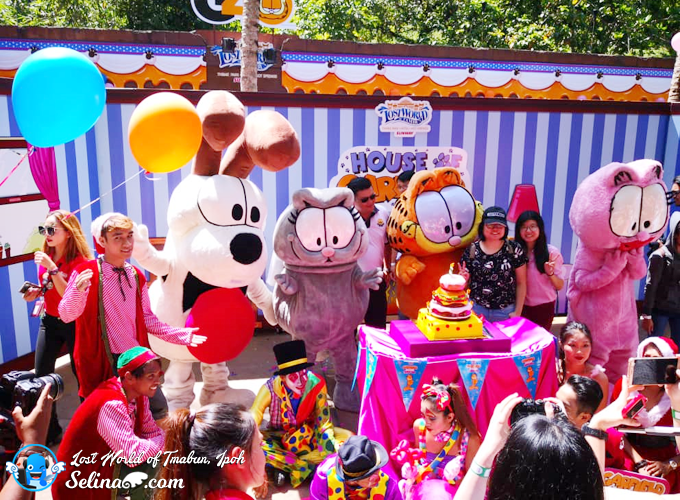 For more information on Garfield and Friends, log on to the website at www.sunwaylostworldoftambun.com or its Facebook page at www.facebook.com/lostworldoftambun. 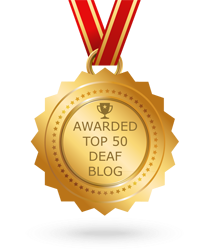 If you are Deaf family, you can PM their facebook for more info, ya!